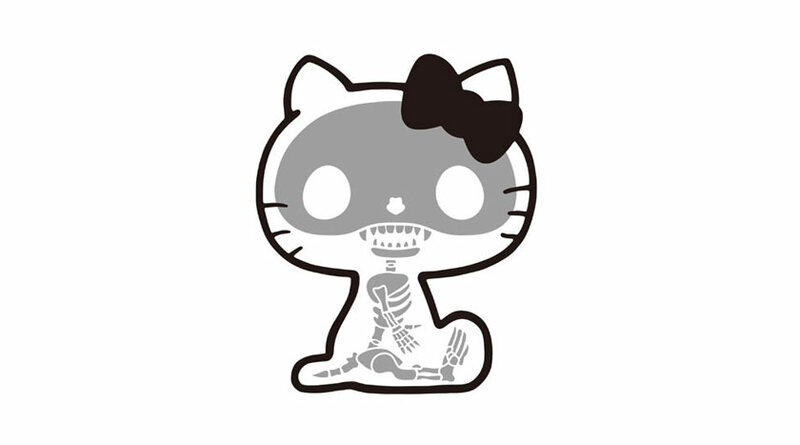 Love her or hate her, everyone knows who Hello Kitty is. 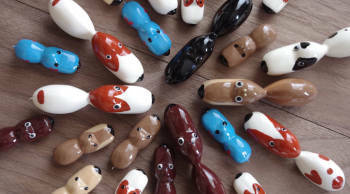 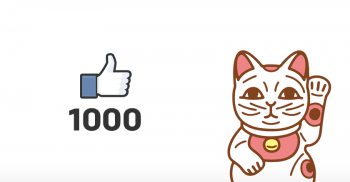 Originally created by Yuko Shimizu for Sanrio, the fictional character is one of the most recognizable characters in marketing today, with jewlery lines, various establishments, music, video games, animated TV series, and even a Hello Kitty-themed maternity hospital Yuanlin, Taiwan. 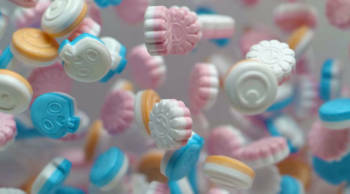 Hello Kitty has been popular primarily amongst young girls and women, that is up until now. 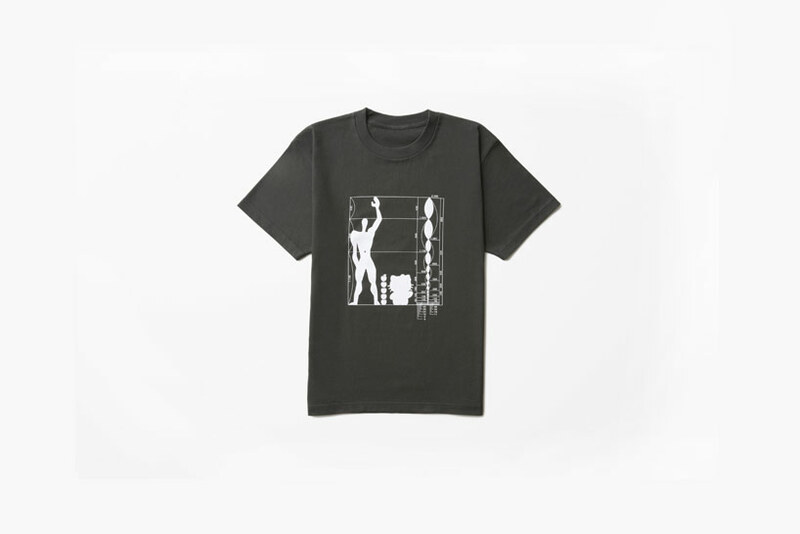 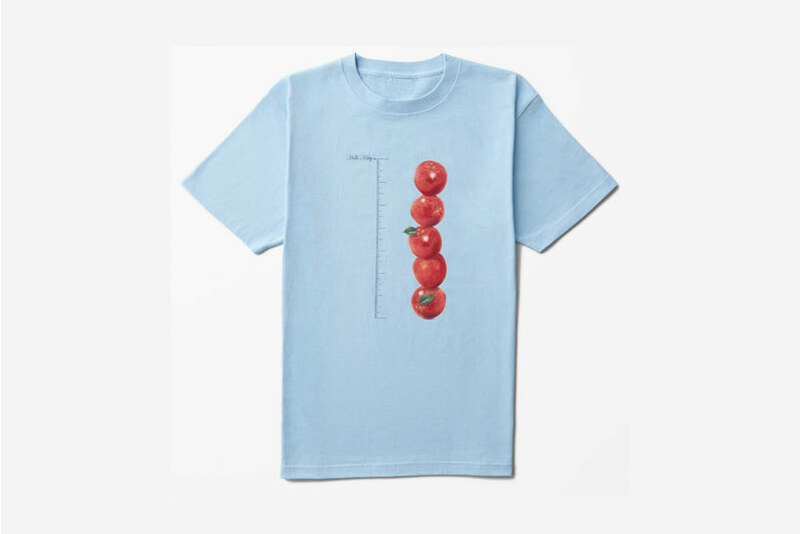 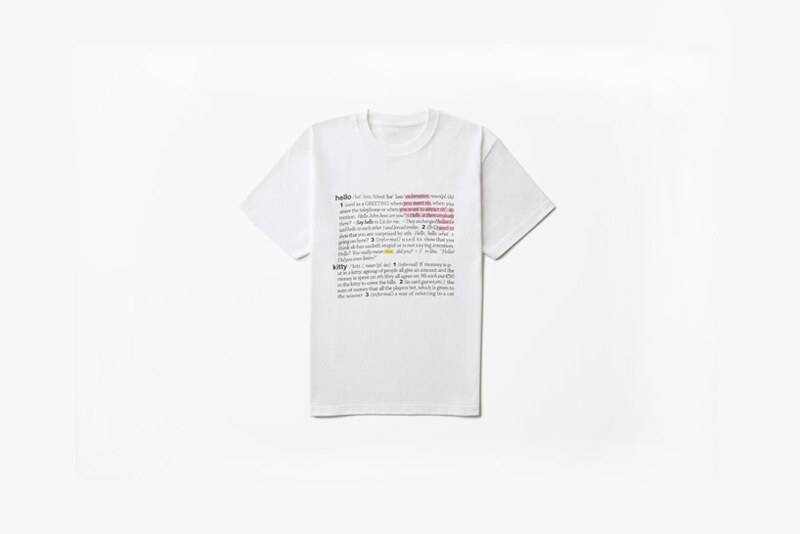 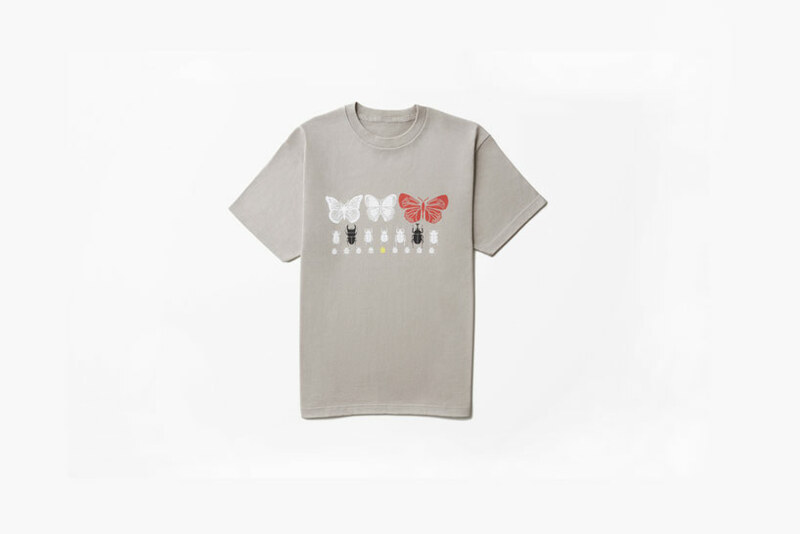 In a new collaboration with “Pen”, the men’s lifestyle magazine, Japanese product and architecture design firm Nendo designed a series of men’s t-shirts aimed at making Hello Kitty more accessible for a male audience. 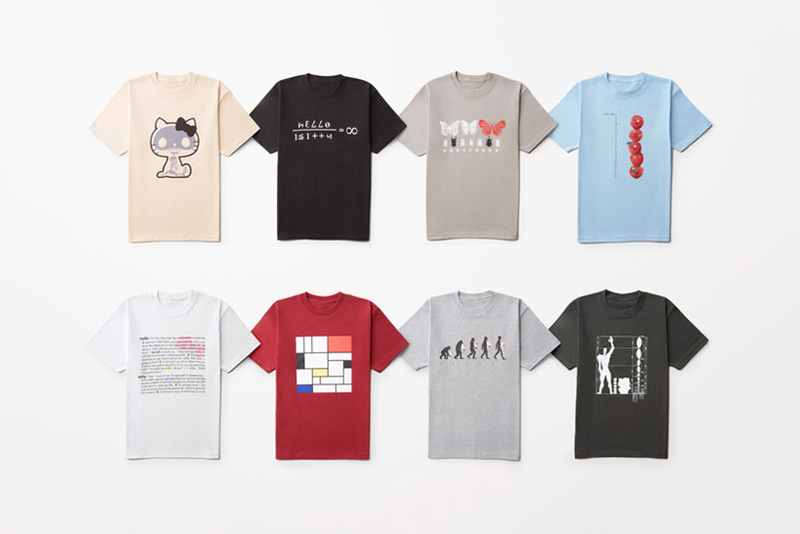 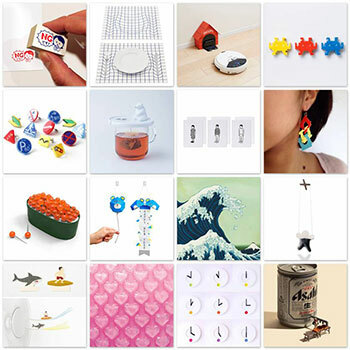 Hello Kitty’s cuteness stimulates the right brain, so to appeal to a different target, Nendo focused on stimulating the left brain by depicting the cute character in less conventional ways, using things like math, science and architecture. 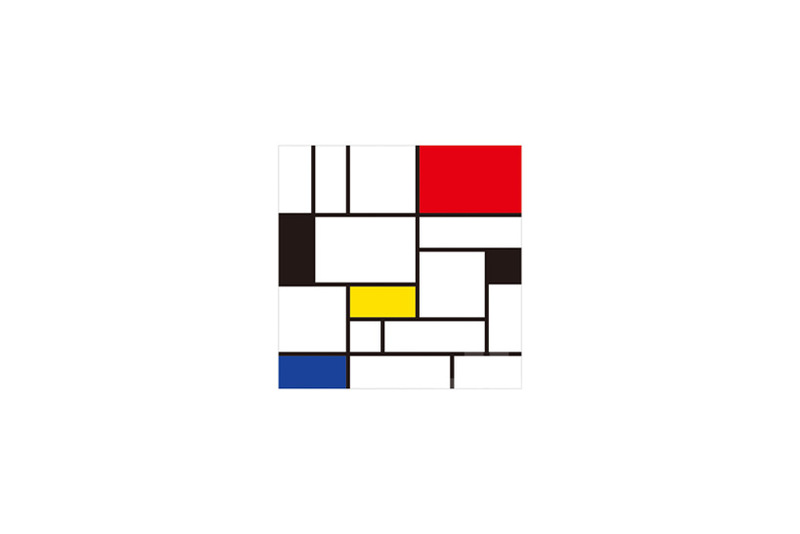 Using Mondrian’s characteristic abstract compositions involving primary colours as a motif, one can somehow strangely discern Kitty’s face due to her distinctive colours. 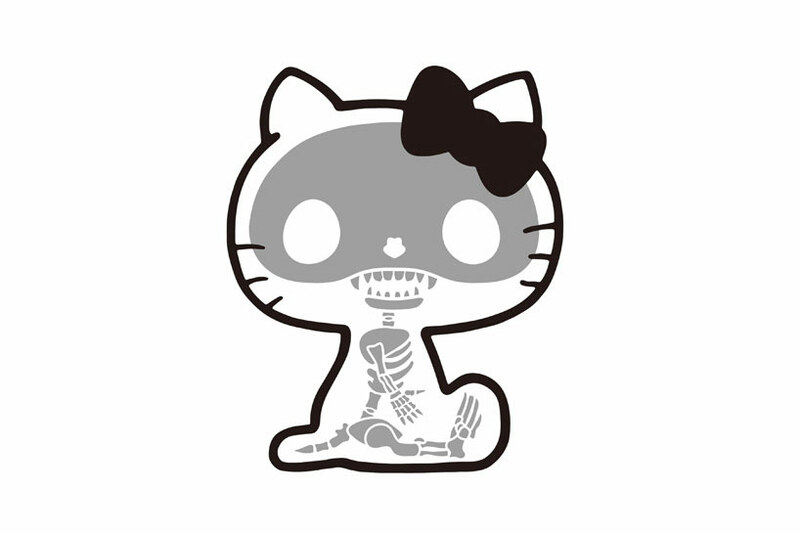 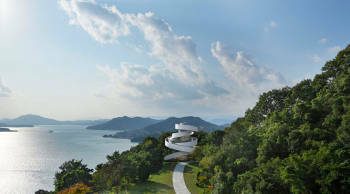 The design features an x-ray image revealing Kitty’s skeleton, shedding light to her mysterious internals. 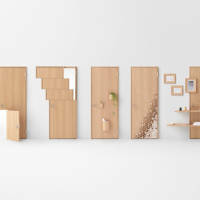 The graphic uses insect specimens to form Kitty’s face, which emerges if one looks from a distance. 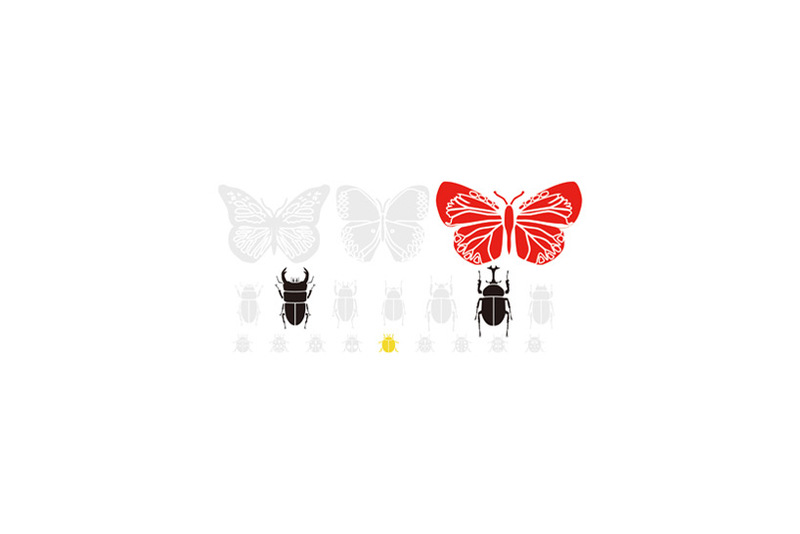 The red butterfly represents her ribbon, the black Japanese rhinoceros beetle and the stag beetle her eyes, and the scarabaeid beetle her nose. 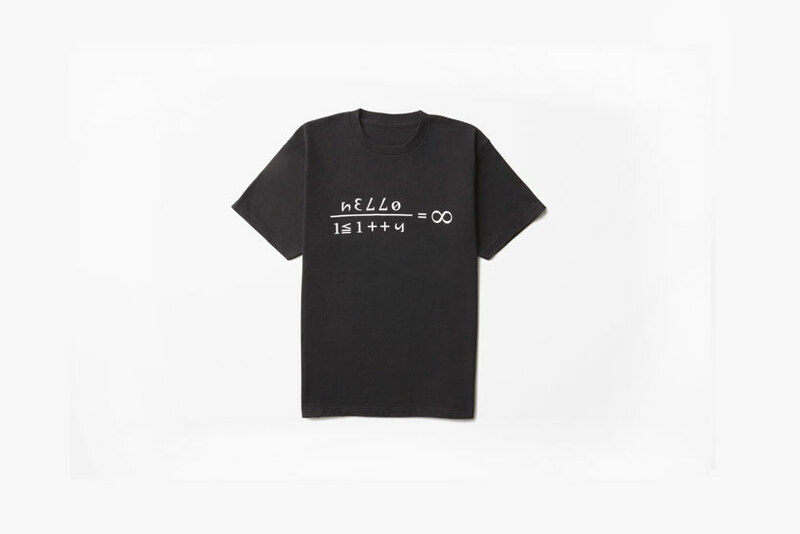 Numbers and symbols associated with math formulas were used to spell “hello kitty”, with “＝∞” simultaneously expressing “infinity” and “Kitty’s ribbon”. 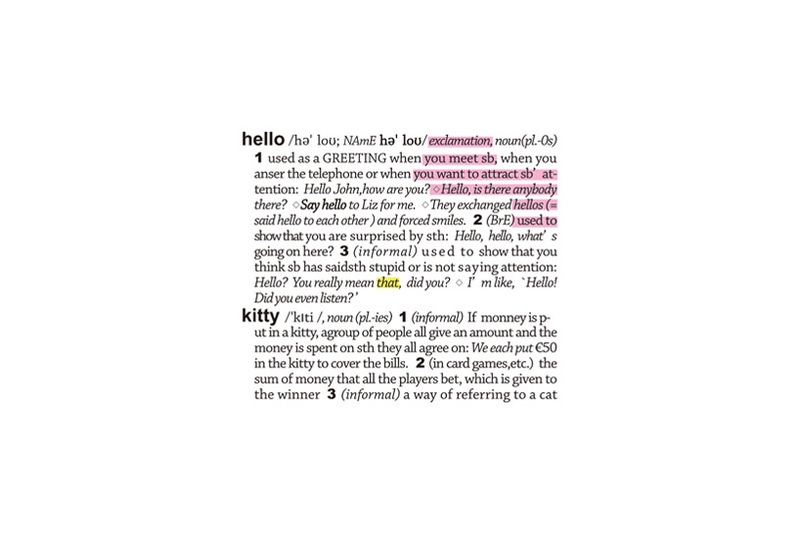 The design features dictionary extracts with the definitions of “hello” and “kitty”, highlighted in pink and yellow to represent Kitty’s ribbon and nose respectively. 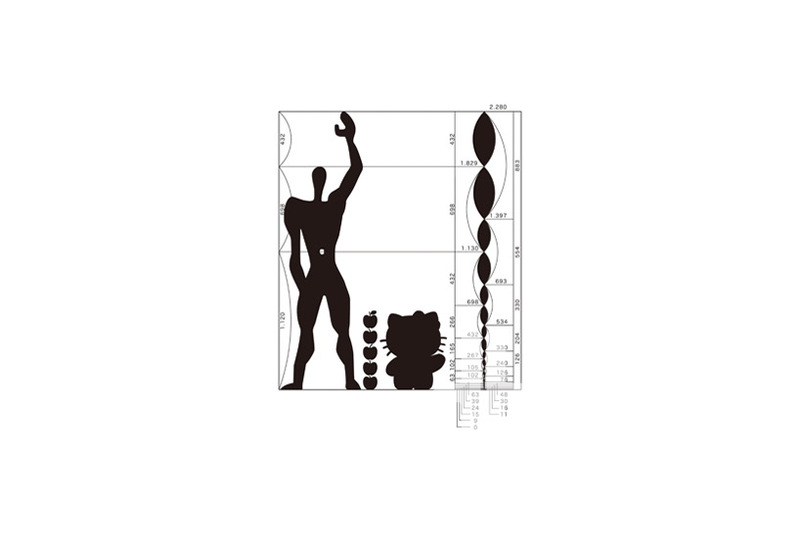 Based on the sketches of Le Corbusier, known for his anthropometric “Modulor” system of proportions when designing architectural spaces, the “Kitty Modulor” design was made, featuring Kitty raising her right arm and, next to her, 5 apples to mark her height (Kitty is 5 apples tall). 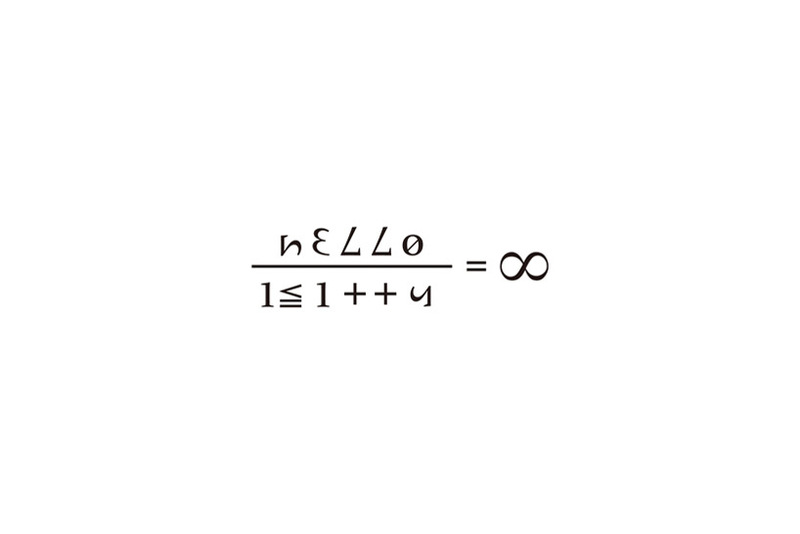 The resulting image appears as if the two figures are saying “hello!”. 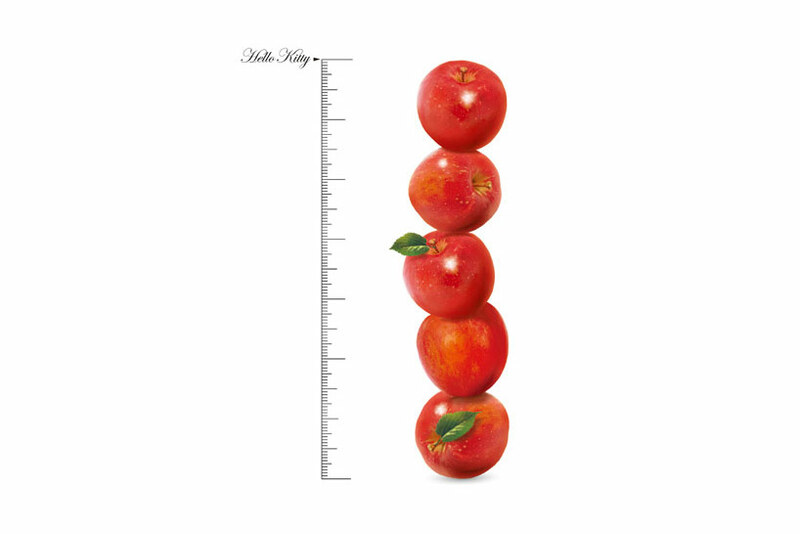 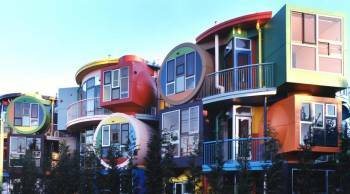 The design serves as a reference for Kitty’s height as equal to 5 apples, which are placed next to a scale. 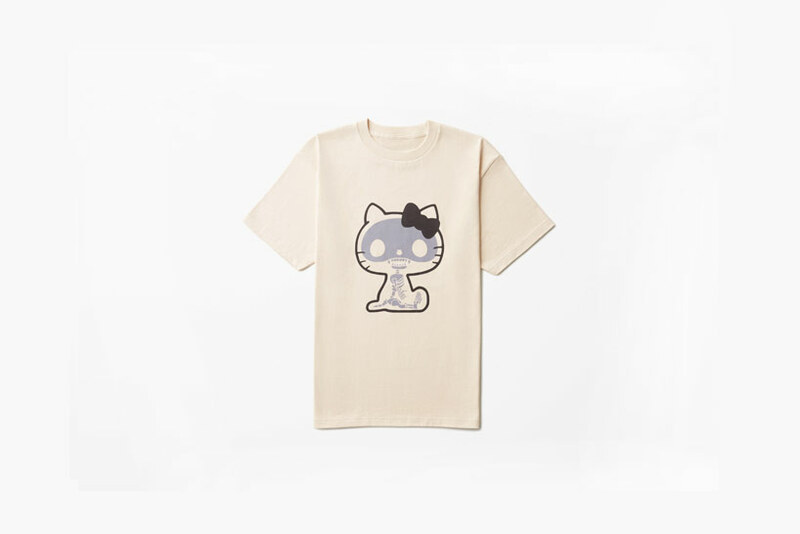 Since her debut in 1974, Hello Kitty has been subtly evolving through the years, incorporating design trends concerning her contours, three-dimensionality and facial features. 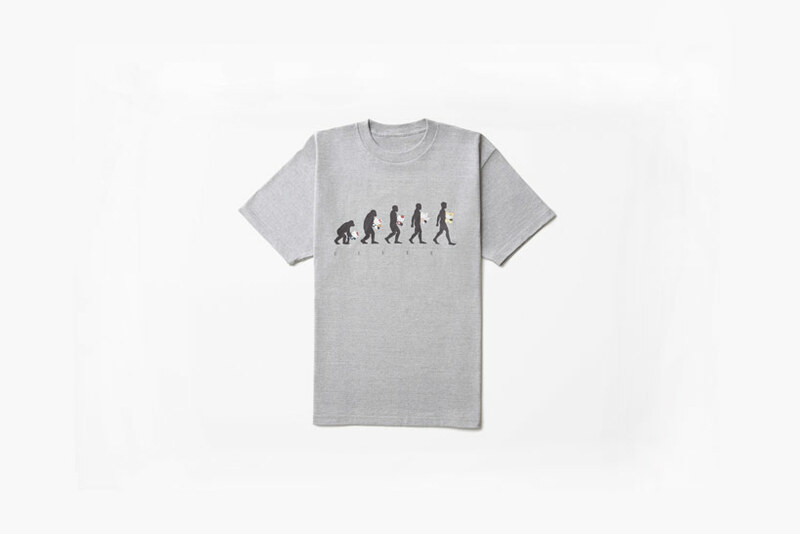 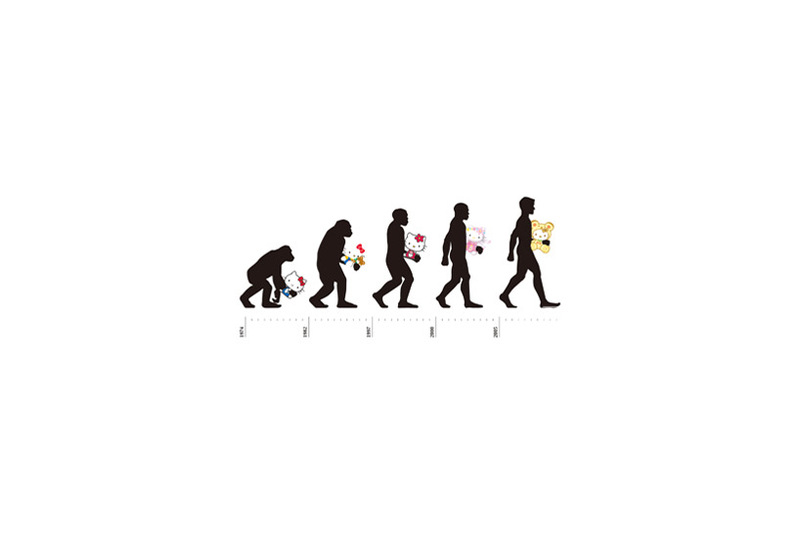 The design draws attention to Kitty’s continuous evolution, by superimposing her on the classic illustration depicting human evolution. 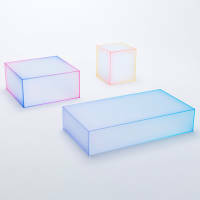 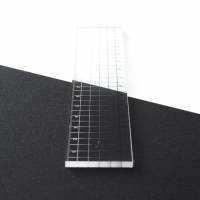 Soft Glass Tables by Nendo at Milan Design Week 2015 Seven Doors: The Curious and Innovative Doors of Nendo “by | n” Stationery Collection by Nendo Helvetica for your nose. 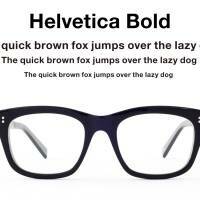 Eyeglasses inspired by Type.